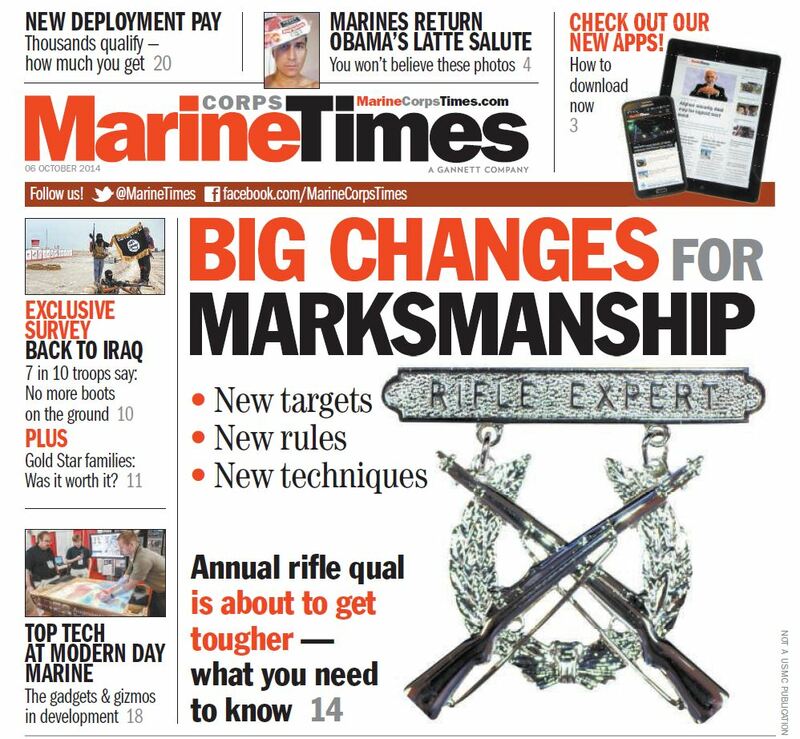 We just finished our cover story on changes coming to Marine Corps marksmanship qualifications. Naturally, we know that any changes to marksmanship are a huge deal (I can remember when ACOG rifle sights were incorporated, I thought my fellow Marines were going to lose their minds). Now, I’m not going to give you all the details, because I want you to buy the paper, but there is one little tidbit I’ve decided to share. The idea of shoot/no-shoot scenarios are almost certainly some changes coming to Table 2. More importantly, shooting a no-shoot target will result in penalty, and an assessment of negative points. This may be the first time in history an actual penalty has been introduced to Marine Corps basic marksmanship, and it reflects a growing trend of more sophisticated operations, against a more sophisticated enemy. In a world where enemy uniforms are rare, and civilians have become commonplace camouflage, target identification is king. Especially when one false move has proven time and again to result in global, viral outcry. There’s more on shoot vs. no-shoot targets, and there are other big changes coming, but … you’ll have to wait until the paper hits newsstands Monday to read about them. Change is enevitable. Being someone able to hit a man size target at 100,500 or even a 1000yds virtually is the sign of an expert marksmen. Placing that in the context of shooting expertly at these ranges with an M-4 is magic. You need a different tool for such a job and at a 1000 it in all proability needs to be modified for consistency. That works for the tool that you physically hold. It makes since then that the other part of such an ability is the physical tool(s) of body and mind working in harmony with the firearm utilized. The brain needs feedback and the sooner the better to learn. That feedback can be supplied by the targe. One thing I see coming is a target that when shot at can and will return with non-letal fire when not hit in the vitals or if the target is shielded by a hostage which intercepts the shooters round allowing return fire. Imagine laser fire landing on a shooter for a “miss”. Realisim in the battle arena has been enhanced in numerous ways. Wow. Just when I think the Gunner community can’t get any stupider… they pull a stunt like this… and totally show why I can’t stand gunners. I proposed this nearly exact idea when stationed at Quantico in 1977.